March 31, 2002, five years ago today ranks as one of the very best and happiest days of my entire life. It was on that very special day that Gracie Bea Toombs made her way into the world and right into my heart. It is difficult to realize that she is already five-years-old, but she is. If you don't believe it, just ask her! Gracie teaches me many things, among the best lessons so far is this understanding that life flies past and that you have to be intentional about the moments. I don't always do so well with this truth, but every time I stop to be with her or every time she shares time with me, I always feel better, more alive and in touch with what matters most in life. Gracie's namesake was her great-grandmother, Bea Moore Erwin. 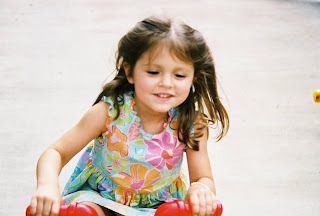 Gracie shares in the richness of her great-grandmother's spirit and love. Bea died before Gracie was born, but I have this feeling they know each other. She has a wisdom about her beyond her years, a focus, a joy, a curiosity and a built-in sense of adventure and playfulness that makes me feel much younger than I am. I expect this is the plan God has for grandchildren and grandparents. This plan makes me very, very glad. Gracie is fun and funny! She is smart and sensitive. She cares and she loves. Nothing is more satisfying than simply watching her in the ordinary moments. Gracie has no way of understanding just how much she is loved by her granddad. Maybe someday she will. I know today is special to her mom and dad--and, her brother is working on it! Of course, there is a reason for all of this. Plain and simple, it is all about love, commitment and being fully, hilariously, outrageously, wonderfully human! I see everything that is good and hopeful and eternal about life in this one little girl. She makes me grateful that I have lived. Almost twenty years ago, Dallas County Commissioner John Wiley Price caused quite a stir when he began a campaign to drive liquor billboard advertisements out of South Dallas. Mr. Price whitewashed a number of billboards himself as a way to call attention to the inordinate number of such signs in his district. He also pointed out the presence of far too many establishments with licenses to sell alcohol in his part of town. As a minister in far North Dallas at the time, I remember cheering him on, to the chagrin of some of my own parishioners. 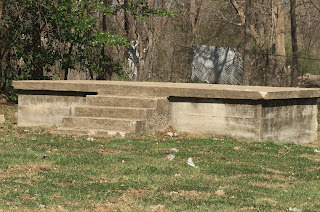 More recently, protest efforts, community organizing and legal action have combined to focus attention on the area around and between Lincoln High School and Pearl C. Anderson Learning Center. The area immediately around Pearl C. is home to 10 liquor stores. Not long ago, one of the stores lost its license to sell alcohol. The community celebrated the decision by Dallas County Clerk Cynthia Calhoun to close Buy N Save Discount Beer & Wine. Unfortunately, her decision was overturned last week by a Dallas County judge who cited “procedural errors” in the ruling and sent the case back to the Texas Alcohol and Beverage Commission (TABC). The TABC could decide to renew the store’s license or call for another public hearing on the matter. 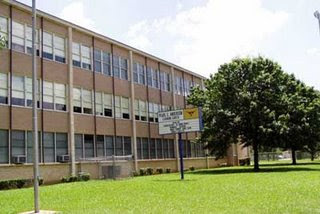 Since the mid-1990s, neighbors, school leaders and students have been working to get the stores closed due to their proximity to the schools. In 1995, their efforts paid off as the Dallas City Council passed an ordinance that established a 1,000-foot alcohol free zone around specified schools. Unfortunately, the existing stores were “grandfathered” and allowed to continue business inside the zone around Pearl C.
All sorts of negative activities have been reported and documented as occurring in and around stores like Buy N Save that do business in the Lincoln/Pearl C. area, including prostitution, selling alcohol to minors and drug trafficking. For years, students walking to and from school have been subjected to all sorts of negative experiences, influences and harassment. Neighbors and school leaders have been vigilant in their protests and watchfulness, but the stores remain. I’m reminded of Mr. Price’s earlier actions on behalf of some of the same families, and his entire district. Why should South Dallas be subjected to such influences? Folks in North Dallas wouldn’t put up with such circumstances even for a moment. What's more, they would be heard. Folks in South Dallas don't seem to get the same sort of hearing, attention or responsiveness from public officials as those who live up North. If you live in Dallas, write your Council Member, as the Council is considering the creation of more alcohol-free zones around other public schools in the city. 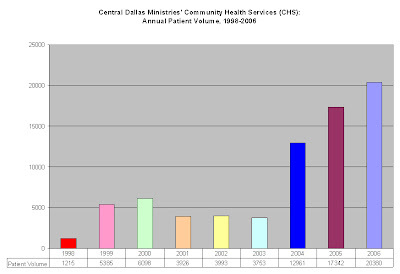 Since 1990, Central Dallas Ministries has been involved in bringing medical, health care and wellness initiatives to our community. As you might expect, in the early days we offered fairly primitive services that would put you in mind of M.A.S.H.! Our operations back then were high touch and long on love! Today, our family practice aims to provide a "medical home" to each of our patients. Thanks to our partnership with the Baylor Health Care System and Health Texas Provider Network, we now have three full-time physicians and a practice administrator working with us every day. Our growth has been amazing. This graph represents our trek from 1998 through 2006. Last year we enjoyed over 20,000 patient visits in our East Dallas clinic. Our pharmacy filled about the same number of prescriptions last year, as well. Our annual budget on the CDM side for medical and wellness services comes is right at $1 million for 2007. Thanks to those of you who help support this important part of our community building effort. 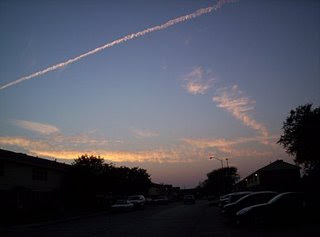 My trip to New Orleans on November 30, 2005, will be an experience I will always remember. 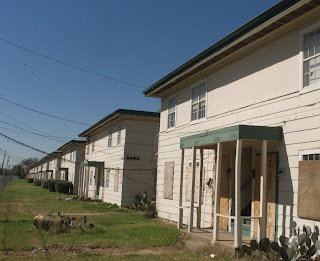 The devastation of Katrina defies adequate description. From what I hear, the city remains largely in disarray today. This is tragic. As everyone admits, the storm pulled back the curtain on the poverty of the city. The storm set us up for a national embarassment. The fact is many urban areas in our nation today contain a "New Orleans" just beneath the surface. Poverty in our cities is persistant, pervasive and perilous. 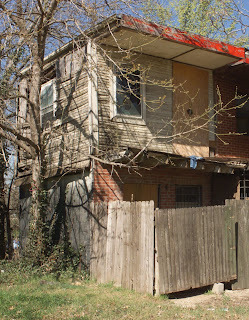 The J. McDonald Williams Institute, the research arm of the Foundation for Community Empowerment, has published a comparison of New Orleans' Lower Ninth Ward with the Frazier community here in Dallas. Katrina wiped the Lower Ninth Ward off the map, a section populated by the city's poorest residents. The Frazier community here in Dallas rates as one of our poorest areas. How do the two neighborhoods compare? Viewing the situation in Dallas through this data, it is clear that our problems are every bit as challenging, and then some, as those facing New Orleans before the hurricane struck. Further, the gap between residents of the Frazier community and the general populace in Dallas is greater than the gap between residents of the Lower Ninth Ward and the general poplulace in New Orleans prior to the terrible storm. 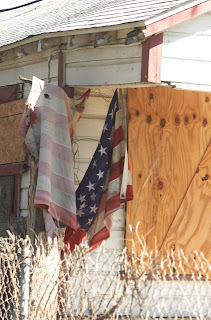 Poverty in America is a real problem across our urban landscape. Want some "feel good" inspiration? If you do, then you should visit the blog produced by the students involved in Central Dallas Ministries' After School Academy. These children are beyond amazing! Never mind that they live in one of the poorest neighborhoods in Dallas, from a material standpoint. Certainly nothing "poor" about these children when it comes to who they are and what they are doing! From photography (this photo is an example of their work! ), to chess, to golf, to ballet, to homework, and more, these students are doing great work and expanding the capacity of their learning beyond belief! Do me a favor. Check out their own weblog: http://www.ourasafamily.blogspot.com/. According to recent polling data gathered by The Dallas Morning News, the number one concern on the minds of Dallas voters as they approach the mayoral election? Not much new there, I'd say. Over the past several years Dallas has received lots of bad news concerning its national ranking as a leading center for urban criminal activity. One report called Dallas the nation's most dangerous city. Crime statistics have not been going down around town over the past decade, that's for sure. Naturally, folks from every quarter and sector of the city are concerned about public safety. It is sort of amusing to watch and to listen to the candidates react so quickly to the latest information about voters' concerns and thoughts. Just about every candidate, with the exception of Dallas City Council Member Don Hill, has laid out aggressive plans for beefing up the size and quality of the Dallas Police Department. One candidate is even talking about, God forbid (! ), increases in sales or property taxes to fund the force growth. Others claim that the economic growth of the city can handle the cost of the additional officers that the city needs. Dallas probably does need more officers on its force. But, I think Mr. Hill is correct when he argues that the most viable, sustainable, high-impact way to really "take a bite out of crime"will involve the city in addressing issues not normally associated with crime at all. 1) Commit significant, continuing public funds, that in turn leverage private investment dollars, to comprehensive, strategic economic development in the poorest parts of the city. The level of funds needed will not be in the tens of millions, but in the hundreds of millions in the near term with total investments beyond the billions over the next two decades. Part of the plan would include a genuine and thoroughly robust land bank nested in the City's Department of Housing. The Office of Economic Development would also be strengthened beyond recognition as it now exists. Tax incentives of every kind would be utilized to the fullest extent possible from start to finish in the process of targeting low-income, high-crime neighborhoods. 2) Require mixed income developments and affordable, workforce housing "set asides" for every new development in more affluent parts of the city. Payments into the City's housing trust fund in lieu of the required set asides should be a limited option for developers. Retail development in the "easier," wealthier parts of town would be contingent on comparable development in the "harder," poorer sections of town. The development of grocery stores in the "food deserts" of Dallas would be mandated and developed strategically with the City even issuing RFPs for their construction. 3) Surround our public school system with the support, resources, accountability and unyielding attention provided by a new partnership drawn from across the city, involving every public and civic institution. 4) Develop and market a new, aggressive and appropriate range of workforce development opportunities so that labor in Dallas could actually rise to a skill set level that commands a livable wage. 5) Add additional police officers to the force while shifting the focus of their work to "community policing" that includes the proliferation of police store fronts and coordination of efforts with the Community Prosecutors initiative. At the same time, expand the Community Prosecutors program. 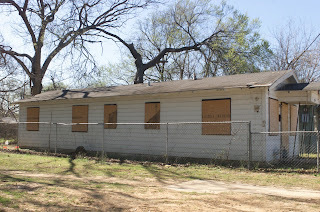 6) Add much needed staff to the city's Code Enforcement Department. Attention to quality of life issues in our poorer neighborhoods will have a positive, long term impact on crime. Dollars invested to improve the lives of all of our citizens will have a greater, longer lasting effect on crime than by focusing all of our attention on punitive measures. By targeting the city's high crime "hot spots" for these investments, our community will realize great returns both now and over the longer term. In the world. . .
A good "just for fun read" is Brother Odd by Dean Koontz. Odd Thomas is a Koontz character introduced to readers a few novels back. In this book, "Oddie" finds himself in retreat at St. Bartholomew's Abbey on the California side of the Sierra Nevada range. It is here, inside the Abbey, that the really strange story unfolds. Koontz ends his tale in a way that makes it clear that we haven't heard the last of Brother Odd! Surprisingly, I found some fairly amazing quotes buried in the science fiction. I'll share one now and then in coming posts. Listen in to the conversation Brother Odd has with his beloved "Brother Knuckles." "Though if I was your dad," Brother Knuckles continued, "you'd probably be shorter and thicker, with your head set closer to your shoulders." "I don't need a neck anyway," I said. "I never wear ties." "No, son, you need a neck so you can stick it out. That's what you do. That's who you are." "Lately, I've been thinking I might get myself measured for a habit, become a novice." He returned to his chair but only sat on the arm of it, studying me. After consideration, he said, "Maybe someday you'll hear the call, but not anytime soon. You're of the world, and need to be." I shook my head. "I don't think I need to be of the world." "The world needs you to be out there in it. You got things to do, son." "That's what I'm afraid of. The things I'll have to do." "The monastery ain't a hideout. A mug wants to come in here, take the vows, he should come because he wants to open himself to somethin' bigger than the world, not because he wants to close himself up in a little ball like a pill bug." When I worked in the church as a minister and preacher, I battled cycles of despondency that became almost predictable in their timing. At times, my emotional life felt like a roller coaster. I can recall feeling as if it would be easier to extract eye teeth than to come up with even one more word to speak to my church! Those feelings were difficult and, at times, scary. Over the past 13 years I have experienced this sort of episodic depression only rarely. My most recent awareness of these feelings surfaced about a month ago. I don't know all of the reasons. I expect the press of our unrelenting need for funding, the growing pains of our expanding organization, the number of fairly high intensity projects now on the drawing boards and the dramatic increase in the need in our community all combine in a way that wears me out! People and the energy flowing from them. Tuesday of this week turned out to be a "break through" day for me. I found my life for my work again--a literal surge of new energy, but even more a sort of clearing away the fog from my soul. I sat and listened, really listened to five guys who live on the street. Earlier that same day I reconnected with a fellow I hadn't seen in about 8 years. He had been locked up in prison until just about a month ago. Our reunion was invigorating. He was so glad to be home. It is the connection to this reality, the reality and beauty of people--the human enterprise--that lifts me when I struggle with my work. People always provide that for me. How many times has it been true? "I almost gave something to that!" I've been known to say. Not after watching these AdCouncil productions. From now on, whenver I get to "almost," you can just go ahead and count me in! Take a look at: http://www.dontalmostgive.org/index.php?option=com_content&task=view&id=12&Itemid=27. · Mental illness is a leading cause of disability in the U.S.
· One in five Texans (20%)faces some form of mental illness. · Texas ranks 49th in per capita spending on treatment of mental illness. · Inadequate community-based mental health programs increase the likelihood that persons with mental illness will wind up in the criminal justice system. · Approximately 900,000 adults in Texas met the DSHS mental health priority population definition in 2005, yet less than half in greatest need received mental health services. · Forty-six percent of ER visits have behavioral health issues as a basic or contributing factor. 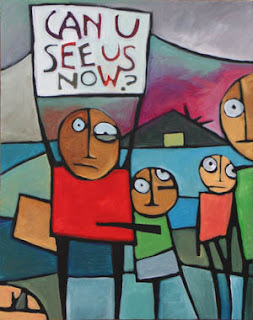 · Untreated mental illness results in increasing pressure on state and local resources. · Community-based services reduce the rate of costly care in emergency rooms, hospitals, jails and prisons, and reduce the need for transportation to state hospitals for stabilization. · Every $1 spent on mental health services saves $5 in overall health care costs. · In Fiscal Year 2005, Texas average monthly emergency room costs were 27% lower for Medicaid clients receiving needed community mental health treatment than for those who received no such treatment. · In Fiscal Year 2005, Texas average monthly emergency room costs were almost 35% lower for Medicaid clients receiving needed substance abuse treatment than for those who did not. · Untreated mental illness costs Texas $16.6 billion per year. · Treatment for mental illness is highly successful. (Depression: 80%, Panic Disorder: 75%, Schizophrenia: 60%, Heart Disease: 45-50%). If you live in Texas, you might want to pass this information along to your State Senator and your House Member. "I sleep on the street," William told us. "I cover up with my blankets. My blankets are precious to me because of the cold. One night last week, I woke up and realized there was another person under my blankets with me! A perfect stranger just trying to stay warm. He meant me no harm at all!" William told his story yesterday during one of our site visits by the United Way committee that will determine our funding level for our housing efforts for the coming year. Thanks to Rev. Jay Cole, director of Crossroads Community Services (a ministry of First United Methodist Church and one of our partners in outreach to the homeless in Downtown Dallas), five men joined us for the interview and tour. We met in the lobby of our recently acquired office building at 511 N. Akard, otherwise known as CityWalk @ Akard. "The shelters don't allow us to store our belongings," Roger explained. "If we leave our stuff, they throw it away. What is precious to me, may not be to you, but it is to me!" "If we look through the trash for what they throw away, they ban us from the shelters," William added. "We just need a place to leave our belongings, a place that is ours." Three other gentlemen spoke--"Wild Bill," Leon and Troy. Like their other two friends, each was articulate, clear, honest, rational and impressive. Leon told us that he was living in a shelter at present where everything was "beans and rice and Jesus Christ!" But he said he was glad for the bed, even though the shelter turned everyone out onto the streets at 5:00 a.m. every morning. He has a job, so it works for him. "But, what I really need is a place of my own," he added. "Wild Bill" described his campground home. Troy told us about his struggle with drugs and life. When the men were done, we all sat in silence for a few moments before the committee's questions broke the silence. I think we all realized what great neighbors these five men would make. As I spoke with them afterwards, it was clear that the thought of a place of their own was beyond their ability to conceive at this point. The longer we visited, the more hopeful they became as I described apartments we would begin offering in May at another location in Dallas. "Would the apartment be furnished?" Roger asked. When I told him that it would be, unless he wanted to use his own furniture, he just shook his head and said, "Do you know how long it has been since I slept on my own bed?" William told the group during our formal presentation that one of the greatest needs of all is for simple privacy. "I'd like to be able to shut the door and take a shower or use the restroom. There is no privacy for any of us." "Every day we fall in line to join the 'parade' from place to place Downtown," Roger told us. "We need a place to call home where this can stop." All the comments began when I asked these men the simple question, "What would an apartment of your own mean to you?" I came away more convinced than ever that most of us don't understand much at all about homeless people. Further, about all we need to understand is that they need a home, a place they can call their own. What could be more important to a community, its health and its future? Environments shape experiences and affect lives significantly. While we gain inspiration from the "poster child" stories of youth who grow up and "make it out," the fact remains that most don't enjoy such success. Remember this surprising fact: a child raised in a negative home environment, but in a good neighborhood, has a better chance for a life of health and well-being than does a child raised in a positive home environment, but in a troubled neighborhood (Malcolm Gladwell, The Tipping Point: How Little Things Can Make a Big Difference). I have no idea who this little boy is talking to. Possibly a concerned parent is on the other end of this line. I do know his neighborhood. We fool ourselves against our own self-interest when we forget that living spaces in the city demand our high priority attention. Last week the the House Health and Human Services Committee of the Texas House of Representatives approved CSHB109 and passed it along to the full house for a vote. The proposed legislation aims to reform Texas' Children's Health Insurance Program (CHIP). On the Texas Senate side basically the same provisions will be put forward in Senate Bill 81. The bill includes a list of improvements that will help provide medical coverage to the children of low-income, working families across the state. It eliminates the current 90-day wait period for uninsured children who are eligible. It restores the annual (12 month) certification requirement so that parents no longer have to go through the process twice annually. The proposed bill also raises the allowed "wealth" of a family to $10,000 liquid assets, plus reasonable values for up to two automobiles. The legislation also allows for the calculation of net income after deductions for child care and some work related expenses, as well as child support costs. The proposed plan also adds an estimated $59.1 million in state revenue to the CHIP budget, while increasing the federal match as a result of the state's increased commitment to improving health care for children in Texas. The bill will also restore funding for outreach so that the coverage can be more adequately marketed across the state. Action: contact your Representative in the Texas House now and urge support for CSHB109. Contact your State Senator now and urge support of SB81. If you don't know who your House and Senate members are, visit http://www.house.state.tx.us/welcome.php and http://www.senate.state.tx.us/. Yesterday I read about an interesting opportunity in Anderson, Alaska, population well under 500. Nestled in the beautiful and expansive Nenana Valley, 70 miles from Fairbanks near Denali National Park and Mt. McKinley, Anderson is an absolutely breathtaking little village. It seems the City Council, with the help of a group of high school students from Anderson, has come up with a land giveaway. If you show up early enough tomorrow, Monday, March 19 at City Hall, you will be eligible to receive a free lot of just over an acre in size. The plan is to incentivize new housing development and population growth in Anderson. Cities and towns all across the nation could learn from this group of leaders about how to change the face of a community for the better. Ever daydream about just "throwing in the towel" and "getting away from it all"? I'd say that if you haven't, you are the exception! So, just for today and after the week I've enjoyed here in Texas, I'm letting my imagination soar a bit. Just for today, I'm imagining what it would be like to build a house (a log home as a matter of fact!) in Anderson, Alaska! Just for today, I'm wondering what it would be like to live in a place where the temperature ranges from 90 in the summer to 60 below in the winter? When you daydream, what fills your thoughts? The first time I read "St. Patrick's Prayer" was from the pages of Thomas Cahill's fine little book How the Irish Saved Civilization. It seems a fitting meditation for this special day named in honor of the saint of Ireland. Events of this week force upon my heart and mind thoughts of America and its cities and, even more, thoughts of the great "American experiment." What, in fact, is the genius of this nation? I believe the answer is found somewhere along the continuum of freedom, mutual respect, openness to change and a living commitment to authentic human community. At one point this week, as I was buried in such thoughts, I heard Willie Nelson singing the lyrics of David Lynn Jones, "Living in the Promise Land." In its own way the song says it all. There is hope and great promise here. At the same time, there is a lingering question here. Everything hangs on how we choose to answer the question together. Living in the promise land. Living in the promise land? If you live in Dallas, you are very aware that we are in the midst of a hotly contested race for the Mayor's office. The official ballot was set earlier this week with 13 candidates for us to choose from! Someone quipped that everyone not running for President of the United States is now running for mayor of Dallas. Question: If you live here and have been listening, how much have you heard from the candidates about the challenges facing our low-income citizens? Have you heard any candidate place the issues associated with poverty at the front and center of his campaign? Well, this year at our 12th Annual Urban Ministries Prayer Breakfast, Central Dallas Ministries will host what we are calling "Forum for the Future." We have invited the top seven mayoral candidates to join us to answer questions related to our agenda, with a special focus on poverty and the low-income neighborhoods of Dallas. We will also be hearing from the community and our guests. Then, we will spend time in prayer for our city and its people. It promises to be quite a morning! Learn more by visiting our event info site at: http://www.centraldallasministries.org/prayer/. Inner city kids and our culture. . . The fresh graffiti sketch stood out bright red thanks to the "Bloods" trademark it portrayed right there on the stall wall inside our downstairs men's restroom at our Haskell Avenue Resource Center. 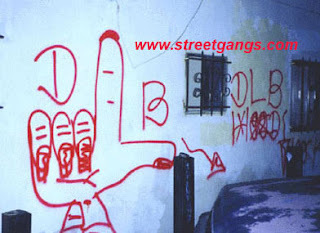 Bloods and Crypts and gang warfare--inner city reality. I hate to see the signs of this negative presence. It strikes me that when life turns hopeless, a growing number of urban youth turn the entire matter into a video game-like experience. Busting a cap up against somebody's head seems no more difficult than firing away with the aid of a joystick after dropping a couple of coins in a game machine. While there is absolutely no justification for the violence often accompanying this urban fact of life, it does seem useful to ask, "How did we get here?" What's up with all of this? It is really difficult to come close to the beginning of any semblance of understanding if you view the situation through middle-class eyes. The turmoil experienced by urban youth is driven in part by the economics of the social context. I would argue economics plays a large part. We live in a very material world. Cities epitomize the material. The kids who reside in the cities of the U. S. don't get an exemption from this cultural reality. We can talk all day about "the importance of spiritual values," but the fact remains, young people are shaped by our marketing, consumer-dominated, material society. Identity is transactional in the U. S. today. To be somebody, to enjoy not only the "good life," but the hip life, you have to own, use, possess, consume. Hard to do if you're broke. Hard not to compare yourself and your circumstance to folks across town who seem to "have it all goin' on," especially when your neighborhood is a mess and no one wants to pay any attention to it, except possibly to tell you how dangerous and bad it is. Complicate the entire picture now by adding in the mythology of the drug trade. You know, the notion that you can make "big money" running drugs--one of the inner city's cruelest lies. The only people making real money in drug trafficking don't live in the ghettos of American, you can be certain of that! With limited funds, opportunity, hope and healthy community, those who buy the unrelenting sell of American consumer culture band together, sometimes in gangs, but usually just as kids full of their music, their "look" and their swagger, without much direction or purpose. What's needed here is serious intervention. Of course, many of us who are trying to interrupt the cycle are trapped in our own ways by the same materialist curse! What's the answer? Where is the way through? Relationships. Friendships. Honest conversation. Risking it by simply reaching out. Placing oneself in unusual circumstances and venues to simply communicate that there are people who care and that there is a better way. I suppose I'm talking about a new kind of spirituality crafted and experienced with the help of many of the very values and lifestyle choices that can challenge the urban scene today. Those who make the effort to understand, to connect, simply to be present--those folks will matter in a big way. A brief update on our friend, Monica. After events last Friday (see my post on Sunday, March 11, 2007), Monica and her first cousin, Jose, spent the weekend locked up in the Rolling Plains Regional Jail located in Haskell, Texas, north of Abilene, about 200 miles from her home here in Dallas. Her parents and family have been frantic, to say the very least. All of us who know and love her and her parents joined them in a long, tough weekend. Monday morning, thanks to an extremely generous donor and friend of CDM and this family, Monica and Jose were bonded out of the detention center. If I reported the cost of the bond, you would be shocked. Two very fine high school seniors, far from criminals in any sense of the word, were forced to come up with an outlandish amount of money to secure their release while they await a hearing before an immigration judge. After paying the bond in Dallas at Immigration and Customs Enforcement (ICE--formerly Immigration and Naturalization Services), the same donor drove to Haskell and brought the two young people home on Monday evening. So, last night rather late, we enjoyed a "reunion party" at the home of one of our CDM team members and her family who lives here in the neighborhood. The love that flowed between the two families of these two wonderful young people touched me deeply. Lots of tears. Monica's father and Jose's father are twin brothers. The connection among all of the members of these two families is amazing to watch. It was a powerful time, as all of us who are friends observed the tearful, j0yous reunion. And naturally, we enjoyed our share of hugs and tears and laughter all around as well! When the initial welcoming was complete, we joined hands in a circle and we prayed a prayer of thanksgiving and we asked the Lord to bless Monica and Jose and their families. We prayed for an end to the current immigration insanity in our nation and our state. We asked God for a just, fair and equitable solution to our national hesitancy. We stood in solidarity, community and oneness, as an extended family. The fact that we were black, brown and white didn't matter to anyone. The fact that some of us spoke Spanish and some English and some both didn't matter either. We were all grateful to be together. We were proud to call each other "friend" and "amigo." Afterwards, we all enjoyed a great meal and lots of fellowship. It was a night I know I will never forget. I'll have more to report in the days ahead. For now please know how much Monica, Jose and their family appreciate your concern. I have a feeling that the story and experience of these two great teenagers may make a difference in the struggle to see a just plan for immigration reform enacted. Things are not right in this nation today. We must work for change. My friend Monica is 18-years-old. She has lived in Dallas with her family since she was 5-years-old. She is an honor student at a Dallas public high school where she is (was) set to graduate in about two months. She has made plans for college after graduation this spring. She is a great example of the success and accomplishment of one inner city child who grew up in a very poor, but loving family here in inner city Dallas, Texas. In so many ways she reminds me of my own daughters. It is very possible that last Friday Monica's life took a drastic turn in a very different direction, a turn from which she may never recover. Friday was "Senior Skip Day" at her school. Most of the senior class didn't attend classes. A friend hosted a party for friends at a ranch in Greenville, Texas. For some reason, the details are still unclear to me, the Greenville Police Department showed up at the party. Every student present who had valid identification was released and was free to go. Those students who had no identification were taken into custody. Monica and two friends--one a cousin--were transferred to an immigration center here in Dallas. They were booked into the center too late in the day to allow anyone to make bail. As a result, they had to spend the night there. Then, for some reason we don't understand, on Saturday morning, immigration officials transferred Monica and her friends to the Rolling Plains Regional Jail in Haskell, Texas just north of Abilene, almost 200 miles away from home. There Monica awaits some sort of hearing, though she does not know when it will be. A sweet, smart, naive, model high school student being held in a West Texas jail for being "undocumented." Even though she has been here for over a decade, and even though she, nor any other member of her family, has ever had issues with any authority in Dallas, she is now in jail. Current U. S. immigration policy is being driven by the decisions and the discretion of local municipalities. Federal immigration officials do not sweep public schools to pick up undocumented students. Nor do they insist that public schools deny these students entry. Federal immigration officials leave families alone for the most part, unless they encounter criminal behavior. Sadly, towns like Farmers Branch and Greenville are taking a different approach. Kids like Monica pay the price. I spent most of the day on the phone on Saturday trying to reach elected officials who might intervene for her. These efforts will continue. So far, I have been unable to accomplish anything real for her. So, this morning my young friend finds herself in jail 200 miles from her mother and father and family. She is scared. She is alone. I pray she is not in danger. Immigration provides lots of issues and material for abstract debate these days. Monica moves the debate onto completely new ground, don't you think? She is my friend. Her mom and dad are my friends. What she is going through is wrong. This is much more than a debate. "My face is the map of the Steppes,"
Once again we celebrate the great Spring Tides. Almost two years ago now, Dallas voters approved a city bond package that provided almost $24 million for the development of a new "homeless assistance center" (now known as the HAC). The funds also provided for the development of much-needed permanent housing in the form of studio apartments or single room occupancy (SRO) units. Central Dallas Community Development Corporation received a commitment of $1 million for this purpose from this same fund. We are now in the process of developing 209 units of Downtown housing due, in part, to these funds. We are most grateful for our partnership with the City of Dallas. We are also proud of the progress the city has made in regard to the HAC. Dallas homeless Czar, Mike Rawlings, has done a phenomenal job of pulling everyone together to see the project through to this stage of its development. 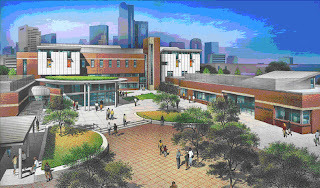 Groundbreaking for the HAC took place on February 27. Thanks to Mike's leadership, the Metro Dallas Homeless Alliance (MDHA) Board of Directors has been reorganized and now serves as the governing body for the HAC. Among the Board's first official actions was the hiring of Mike Faenza as our new Executive Director for the HAC and MDHA. Mike returns to Dallas after serving for several years as the leader of the National Mental Health Association in Washington, DC. A number of years ago Mike served as the executive leader for the Dallas Mental Health Association. We are very fortunate to have Mike back in Dallas. Already he is making a difference for our homeless neighbors. Mike is a person who really "gets it" when it comes to the very poor among us. 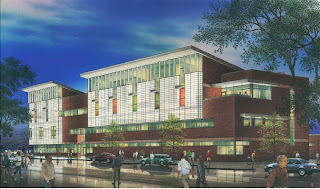 The new center will be a beautiful place. It will serve as a community tool and a place of refuge for regrouping and movement forward for hundreds of homeless men, women and children. . . .it lights the candle instead of cursing the darkness." Thanks, Ms. Medrano. Of course, you are correct. It is all about hope. My good friend, Dr. Marcus Martin leads the research efforts for The J. McDonald Williams Institute, the research arm of the Foundation for Community Empowerment (FCE) here in Dallas. Dallas businessman and former Trammell Crow CEO, Don Williams founded FCE in the early 1990s. Today FCE serves as one of the most important catalytic organizations in the nation devoted to the realization of urban reclamation, redevelopment and justice for everyone. Marcus, FCE and its research Institute do amazing work bringing the realities facing low-income, inner city neighborhoods out into public space for conversation, debate and action. Consider just a bit of the crushing reality bound up in the daily life circumstances of tens of thousands of our neighbors here in Dallas. The story of Dallas is truly "a tale of two cities" and the data that follows comes to us because of the hard work of Dr. Martin and the entire team at FCE. *Sixty-three per cent of the households of South Dallas earn $25,000 or less annually. Seventy-one percent of these households earn below 200% of the federally established poverty benchmark. *Only 9.5% of "Northern Corridor" households earn $25,000 or less and only 20% earn below 200% of the poverty line ($40,000 for a family of four). 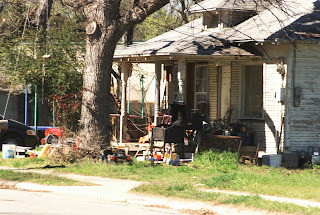 *In the city of Dallas, one of six residents (16.7%) lives in poverty. In South Dallas the number is 1 of 2 residents (50%). *Forty-four percent of Dallas children live in areas of concentrated poverty. *In 85% of Dallas' most severely distressed neighborhoods, 60% of the children are African American. 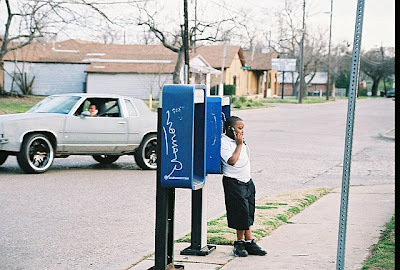 *Twenty percent of all black children in Dallas live in severely distressed neighborhoods. *Only 12% of Southern Sector residents have a college degree. *Only 4.3% of the adults over 25-years-old living in South Dallas proper have a college degree. *Almost 50% of adults over 25 years-old living in South Dallas do not have a high school diploma. *Infant mortality rates for South Dallas families for 2003 were 16.7 deaths per 1,000 live births. *Fifty-seven percent of South Dallas residents do not have health insurance. *South Dallas is the least healthy area of Dallas. *The jobless rate in South Dallas is 1.5 times that of the City of Dallas. *As of 2000, Southern Sector property in Dallas was valued at $63.54 per square foot as compared to Northern Sector property valued at $93.32 per square foot. *The value of homes in North Dallas is 3.5 times greater than those in southern Dallas. *Median home value in South Dallas is $43,914, while median home value in the city is $109,153. *The median age of housing units in the city of Dallas is around 30 years, while the median age of units in South Dallas is 50 years. *The number of business establishments in the Southern Sector have declined by 5% since the mid-1990s. 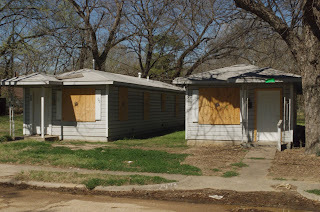 When anyone talks about poverty in Dallas or in other major U. S. urban centers, it is clear that informed discussion must move beyond individual responsibility, achievement and circumstance to the larger, systemic forces that consign entire communities to the limitations inherent in low-income areas. Any expectation for real, sustainable change must involve public policy strategies and comprehensive city-wide responses. What we so often miss is the fact that deeply entrenched poverty hurts us all from one side of the community to the other. None of us can afford to ignore these harsh realities any longer. Poverty is expensive. It costs all of us again and again in lost tax base revenues, mounting social services costs, public safety and health care expenses; and, most of all, in the destruction of hope. It is time for a new day in Dallas. We can't wait any longer. Monday it happened to me again. 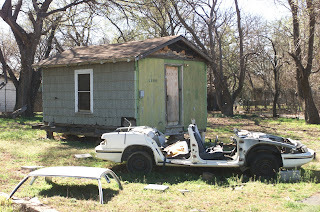 I spent about three hours driving through various parts of some of the poorest sections of Dallas. The images posted below don't adequately capture what I saw, but they help. The scale of the negative environment overwhelms the soul. 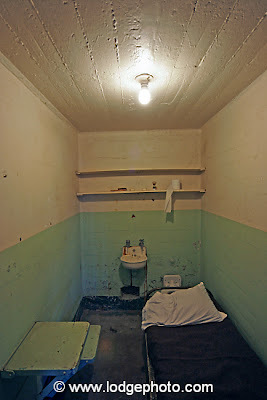 As you view the images, imagine being 8-years-old and living here. No matter how many times I have the experience two things continue to happen to me. First, I am surprised again by the depth, the weight of the poverty and by the fact that so little seems to change between my tours. Second, my heart breaks for the people I see as I drive. Children, elderly men and women, mothers, fathers, the housed, the homeless, the employed and the unemployed. . .neighbors of mine. People who need better and more accessible. . .everything! Education--public for children and workforce for adults. Personal voice--political influence, power, collective lift. Retail development and economic development. The list remains the same. The needs stick out everywhere. We continue to act as if they don't exist, and we do so to the absolute peril of our entire community. Dallas doesn't need a new vision, though vision is important. Dallas needs a new courage. Dallas needs a new heart, not for charity, but for fairness. Come ride with me sometime soon. You'll see for yourself exactly what I mean. In February 1999, Central Dallas Ministries established a public interest law firm and practice to serve under-represented inner city residents in our local courts. The founding partners of our little firm were John Greenan and Ken Koonce. Both came to CDM from large, downtown firms. Both came seeking an avenue to serve people by using their highly accomplished legal skills. Much has changed since the beginning. John now leads the Central Dallas Community Development Corporation, the housing development arm of CDM. Ken serves as the L. A. W. Center Director. The Legal Action Works (L. A. W.) Center handles over 200 cases annually while providing counsel to hundreds of others who seek the assistance and advice of our four full-time and two part-time staff attorneys. The center also engages the services of a number of volunteer lawyers. The primary focus of our practice is family law, though our lawyers provide a wide variety of other legal services and representation including simple probate services, disability claims, consumer issues and housing matters. Our typical client is a mother in need of protection for herself and her children. Click on the link below that will lead you to a documentary video dealing with the work of CDM's L.A.W. Center. You will meet five families whose lives have been touched and changed by the important work of our dedicated attorneys. Thanks to Malone Media for their work on this video! His insights concerning education and its importance, potential and impact on everyone are profound. He reminds me that we must never shut anyone out as we consider who matters in our society and in our great urban areas. “He had recounted to me his battle with a street-wise grownup who was flogging her way through Macbeth. ‘What does Shakespeare have to do with me?’ she would ask. Many years ago we produced a series called. “Six Great Ideas” with the didactic, irascible but compelling philosopher and educator, Mortimer Adler—one hour each on liberty, equality and justice, truth, beauty, and goodness. From the deluge of mail I kept two letters that summed up the response. One came from Utah. I had to think about this for a while before I realized what he meant. He was, after all, a lifer. How is it a man condemned to an institution for the remainder of his years finds salvation in a television program? And then one day I came across something Leo Strauss had written. The Greek word for vulgarity, Strauss said, is apeirokalia, the lack of experience in things beautiful. Wherever you are and however it arrives, a liberal education can liberate you from the coarseness and crudity of circumstances beyond your control. Recent reports on the near-fatal injury and miraculous recovery of ABC World News Tonight co-anchor Bob Woodruff have focused new attention on the serious nature of injuries sustained by thousands caught up in the war in Iraq. Woodruff and his camera man, Doug Vogt were critically wounded when a roadside bomb ripped through their vehicle. Woodruff sustained traumatic brain injury that left him in a comma for weeks. Last Tuesday evening ABC News aired a touching story about his experience in Iraq and the journey he and his wife and family endured on the road to his recovery. Bob and Lee Woodruff have written a the book about their experience: In an Instant: A Family’s Journey of Love and Healing. You can order a copy by clicking on the Amazon.com link in the right margin of this page. I'm betting it will be an important and moving read. Woodruff's experience forces us to face the horrors of the war. His latest report intends to bring new attention to all who sustain traumatic brain injuries while serving in Iraq and Afghanistan. I wonder how many of us stop on a regular basis to consider the cost of the conflict and the suffering that continues day after day on the other side of the world? Over 3,100 U. S. soldiers have been killed. Tens of thousands have come home wounded and scarred for life. Thousands and thousands of Iraqi citizens, including huge numbers of women and children, have lost their lives and significant multiples of these numbers have sustained serious, life-altering injuries, including traumatic brain injury. The war is horrible, beyond horrible. Can we pray today for peace? At least for today, can stop and pray for a new way through to a day of peace and reconciliation? Please pray for peace during this one Sunday. Want to meet a little girl with a clear vision about her life and the life of her country? 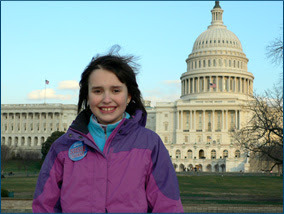 Want to help the U. S. do the right thing by the 9 million children who are not in line for adequate health care delivery? Then you need to meet Susie Flynn! Check out her website and her plans at http://www.electsusie.com/. I'd love to hear what you think about her and her approach. Low-income workers and minorities vote in much lower numbers than higher paid, white citizens. People who are working hard to make ends meet and pay the bills often don't find their way to the polls on election days. Beyond this, there is a cynicism among the poor about the viability and efficacy of the entire political process. A "what difference will my vote make?" attitude seems more prevalent among lower wage earners than among those who earn more for their work. In Dallas it is certainly true that persons living in lower income neighborhoods don't turn out to vote like people who reside in more upscale parts of our city. I know that is true in my state house district. People living west of Central Expressway in the Park Cities part of our district vote at a 75 to 90% clip in every election. On my side of the district we do good to turn out 40% in even the most active precincts. Now comes Mark Osterloh with one of the "bright ideas" for 2006, at least as determined by the annual review conducted by The New York Times Magazine (Rebecca Skloot, page 34, December 10, 2006). Here's how his idea would work. Each person who casts a vote would also be entered into a special state lottery in Osterloh's home state, Arizona. At the conclusion of each state election one person would be selected to win $1 million. The payout would come from the state's unclaimed lottery fund. The odds are interesting when compared to other state and regional games of chance. If 2 million Arizonans vote, as they did in 2004, in the next national election, the odds of winning would be 1 in 2 million, as compared to 1 in 146 million for recent Powerball games! With what remained in the unclaimed gaming fund, Osterloh would award 1,700 prizes of $1,000 each. Such a move increases the odds of winning something to 1 in 2,500. Osterloh believes that odds like these, especially for low-income workers, would increase voter turnout, while costing voters nothing. Critics say that the idea "degrades democracy." "Excuse me?" he says. "Getting all those people to vote will degrade democracy? Isn't that the definition of democracy?" Osterloh is so serious about his idea that he got it on the ballot in Arizona last November. 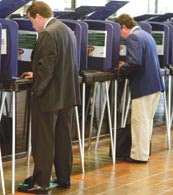 As the Times Magazine notes, "It is quite possible. . .that his target audience didn't show up to vote." By 2011 the U. S. will have more than 1.7 million men and women in prison. The cost to taxpayers will be $27.5 billion more than what is currently spent to operate the nation’s prisons. Unless something changes, by 2011 one out of every 178 U. S. residents will be incarcerated. Some states anticipate seeing their prison populations grow by 25% to 33%. This growth is due to stricter mandatory minimum sentencing regulations, reductions in parole rates and high recidivism. Over the next five years, inmates will cost an additional $15 billion. Construction costs will add $12.5 billion. Many states are questioning whether or not prisons offer the wisest use of limited public funds when they look at return on investment. Far too many men and women are sent to prison in the U. S. and in Texas. Many who end up behind bars would make more progress in treatment centers where they could be guided and assisted in overcoming the addictions nesting behind their unlawful behavior. Poor people go to prison more frequently than those who can afford the best counsel. There are better ways to deal with the misbehavior of large numbers of people who land in prison every year than the current still popular “lock ‘em up and through away the key” approach. One consequence (I hope "unintended," but at times I have to wonder) of our current policy is the systematic "harvesting" of male leadership from inner city neighborhoods. The resulting social impact on families and their traditions and expectations is devastating. We need better results. Our communities deserve better and so do many inmates.